Hey there! 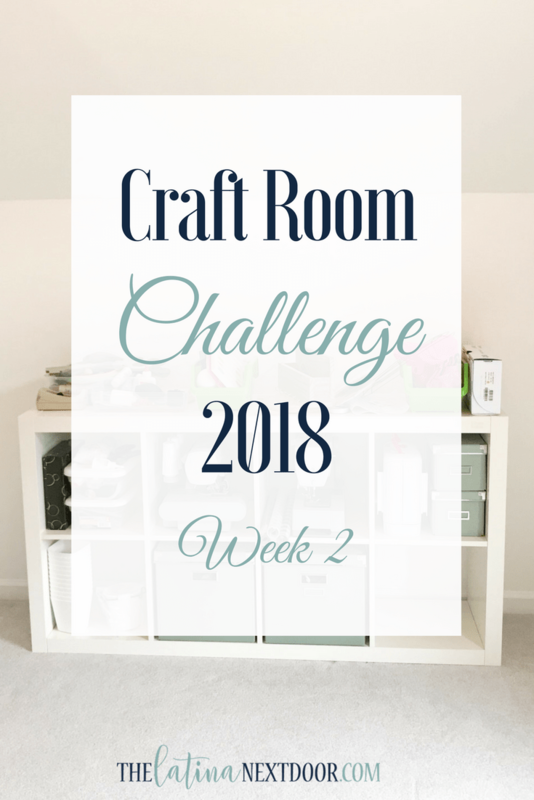 So we are strutting along with this craft room challenge this week and I will say that I am not as ahead as I thought I would be. But I have good excuses, I swear! 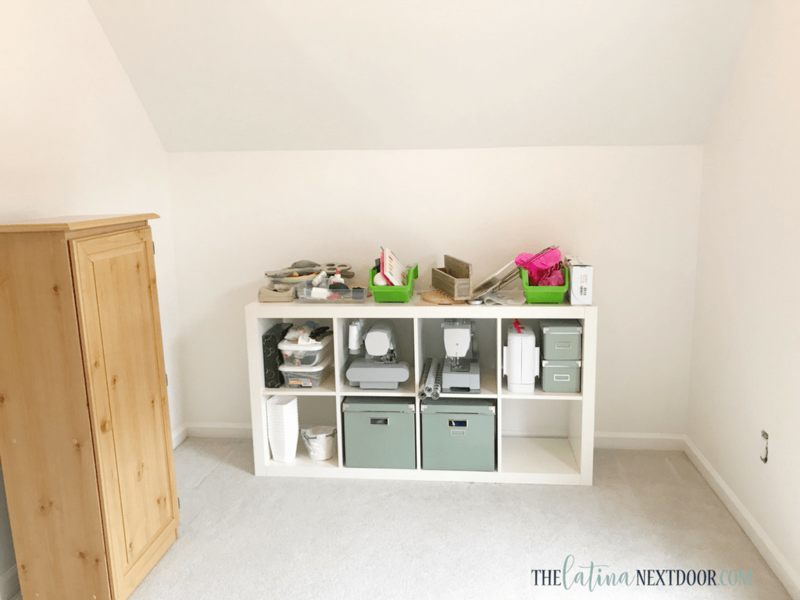 So if you recall, from last week’s post (Week #1), my craft room was a dark hot mess, so we took everything out. I purposefully did not edit this picture because I wanted you to see how dark it was on a full sunny day. I just couldn’t handle it. We prepped the floors and walls by putting down our favorite tape and plastic combo – we love this stuff cause it goes right on your baseboards and you pull the plastic out easily. No need for bulky drop cloths. 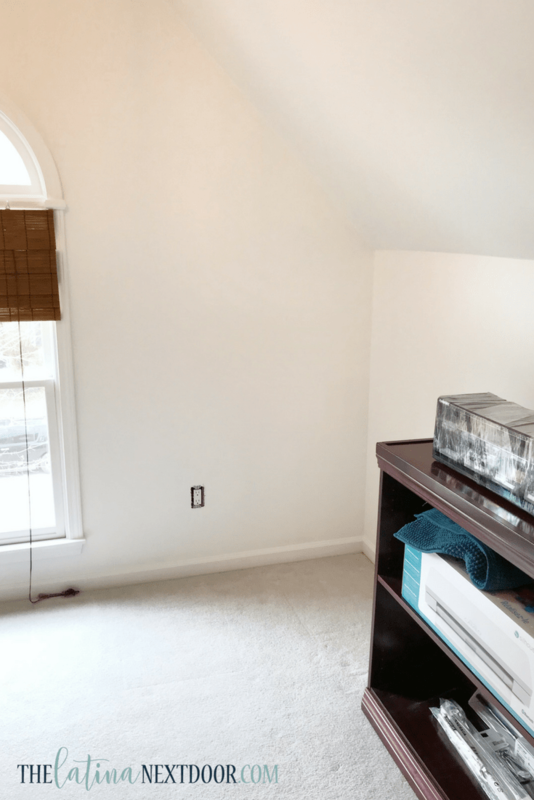 We used Pure White by Sherwin Williams in satin since I had a gallon and a half left over from another project (we also used that white on these walls in my office), however, these walls soaked up every bit of the paint. So we had to buy more which I was not expecting and apply a total of 4, yes 4, coats. So there is the first reason I’m not as far as I would have liked. This picture is unedited and you can see how dark it is. We removed the light to paint the ceiling and almost burned out fingers off it was so hot! 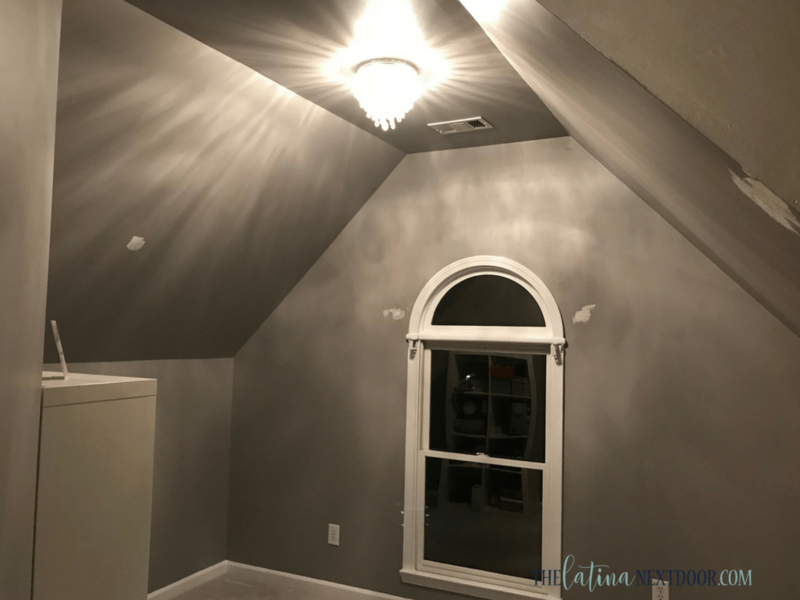 I was not comfortable with that at all even though it had insulation between the light fixture and the ceiling (my husband used to be an electrician and he says that insulation is sometimes placed there to help with light fixtures that get too hot). I was like hell naw! That was not going back up. So I totally went shopping for a light fixture. It was a little bit of a splurge in my mind, but oh so worth it! Check this baby out along with my new white walls. 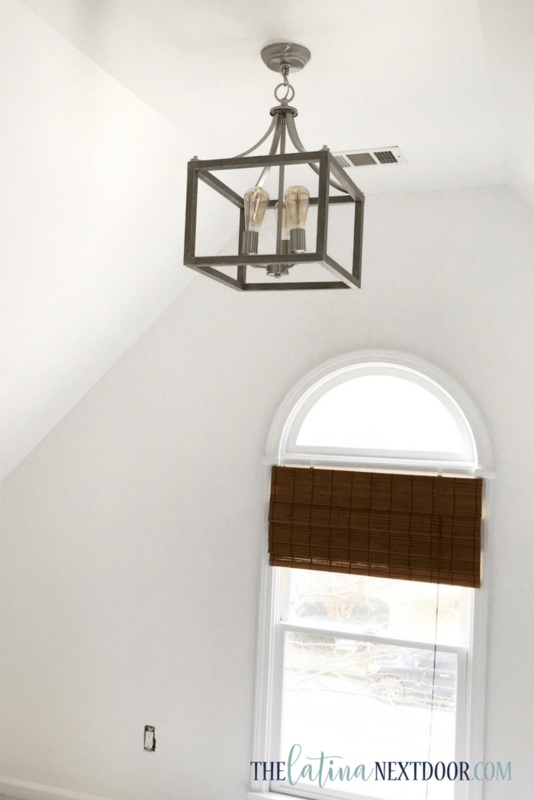 You can check out the specs of the light fixture here. It comes in a larger four bulb and a smaller one bulb size. It’s from the Boswell Quarter Collection. They didn’t have any at my local store so we had to drive a little farther to get it. They only had 2 on hand so we had to make that a priority. QUICK TIP: For items like this that aren’t necessarily seen on floors or are of limited quantities, make sure to order online and schedule a store pick-up. This ensured that they had it there when we arrived and they take it to customer service for you so you DON’T have to go looking for it and waste time. I added Eddison bulbs to give it that rustic feel. Here is the rest of the progress. The walls look so much better now! I ended up moving my IKEA shelves to the side wall and put it on its side. I was going to use the table that attached to it originally but then decided against it because it wasn’t that large and I wasn’t happy being stuck in a corner. So I purchased a new table from IKEA (the MELLTORP) instead and it was only $65. The first, it was cheap (cause I was already over my budget). The second, it was white and I need a white surface for my crafting videos on my YouTube channel. Here is the other side of the room. I still have not added the outlet plates yet on that wall, because that wall is too bland and I need to do something to it…. something else I’m adding to my plate, I know! That bookshelf was supposed to have been painted by now, but the paint I ordered was on back order…. of course it was! So there it sits, waiting for the makeover. As you can see, we replaced the sun burnt blinds with this bamboo shade. I used this because I already had it (for several years I might add and my husband was about to throw it out) and it fit the window…. so at least I was able to save some money there. But the wall looks so plain now. I have an idea of what I want to do, but I want to leave it as a surprise so be sure to check in next week to see what I came up with. So obviously there are things I need to finish from last week and need to do this week. Whew! This week is going to be hectic! Let’s see if I can get it all done! The white walls do look so much brighter! It was well worth the effort. And yay for your new work table! Aleisha got one from Ikea, too. Nothing helps with getting a surface clean like getting a new surface, lol. I cant wait to see what you do next! That was no craft room. That was a cave. Looking good so far! Thanks Jolene! I can’t wait to add more detail to it and start putting my furniture in place (after painting it of course 😉). Isn’t it great what a little (not in this case) paint can do? Seriously, I think you did a wonderful job and I bet you will love working in your new craft room, once it’s done. And I think I know what you’ll do to that wall…did I see a clue hidden on your IG the other day? Can’t wait to see it!!! Thank you Jessica! I am so glad I found it! So far loving how it’s coming along. Your room is coming really coming along. 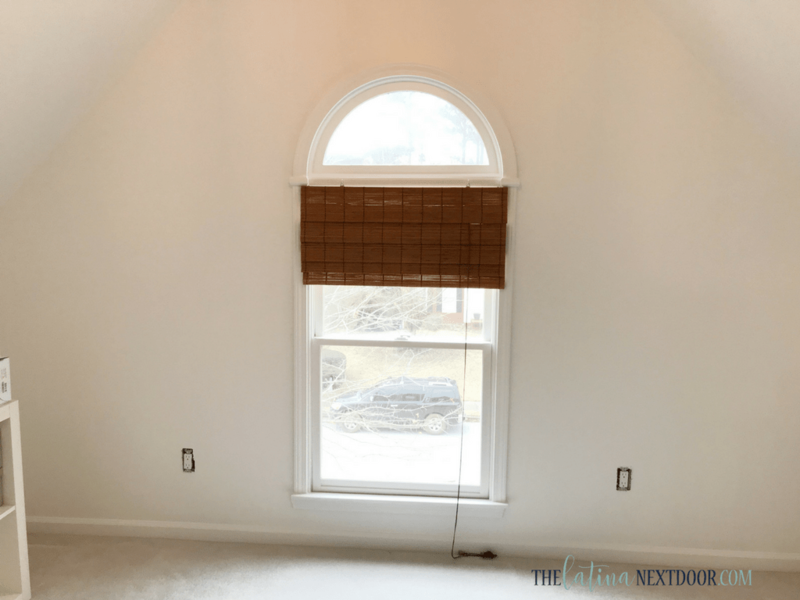 I love the new light fixture and can’t wait to see the rest! 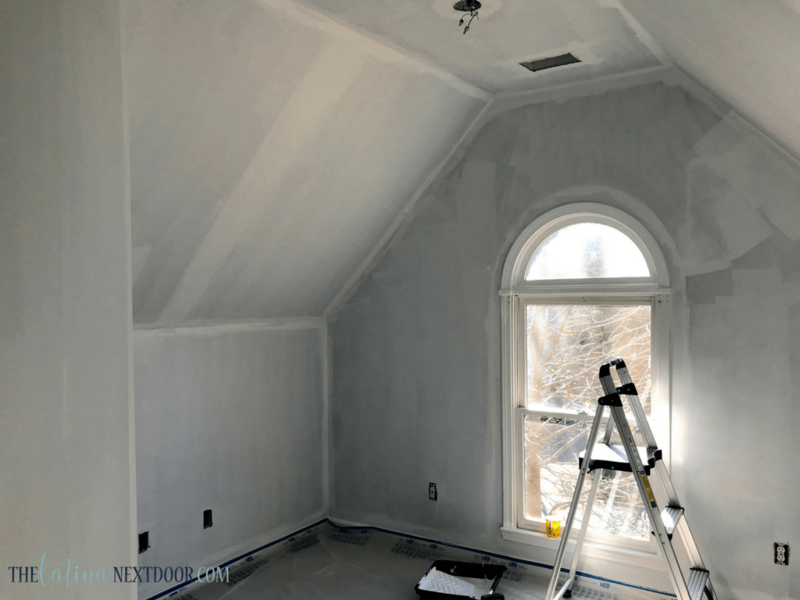 I can totally see this blank canvas as ending up an AMAZING space! 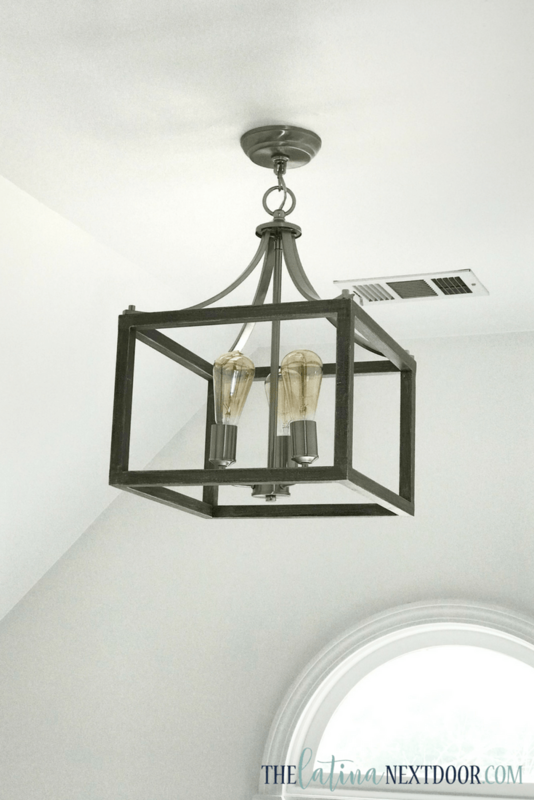 Crushing on your light fixture too! Hi Yami, makeover of craft room is always a tough task. Your tips for decorating craft room are very useful. I love the new light fixture. Thanks for letting me know about it. Thank you! I am so glad you like the light fixture!